Recently, a (what I think was slightly dodgy) gel manicure completely damaged my nails. On top of my permanent dermatillomania damage, this beauty treatment left my nails dry, damaged and literally crumbling. I've never had it before when my nails split right down the middle- and I'm not talking just the tip! My thumb nails have been agony recently where pretty much half the nail has come off (GROSS ALERT) and whilst I have let them to heal naturally for a little while, I really want a quick-fix in covering up the ugly mess that has been left. When they grew back to a very short but normal length, I gave these KISS Press-On nails a whirl to help make my hands look pretty once again. Most false nails come with a little tube of glue to stick them onto your own nails, but these Kiss ImPress manicure sets are pre-glued. I am not the most skilled person at being neat with beauty, and often find that the glue somehow ends up all over my fingers, leaving me with a horrible feeling on my fingertips (or glued-together fingers). The fact that all you have to do with these sets is peel off the little clear tab that's covering each nail and press it onto your own nail is an absolute god-send for me! No mess and I was left with perfect nails within a few minutes. A great thing about these is that I found them a lot less damaging than usual glue-on false nails. The glue which comes with usual false nails is quite strong and can be a bit of a pain to remove, not to mention how damaging it can be to your natural nails. This glue seems to be a lot less concentrated; they come off really easily (I didn't even need to soak them in nail varnish remover, although it is recommended) and there was very little glue left on my nails afterwards. This meant less buffing needed and less temptation to pick it off and cause further damage! That said, because the glue isn't so strong, I didn't find these lasted a massive amount of time. I think they were on my nails for almost 3 days before they started pinging off. This doesn't bother me too much; if I wanted to continue wearing them I would just brush on a little bit of nail glue to the back of the nails and wear them as you usually would. Although this does defeat the point of them being press-on, I think this feature leads to the presumption that they will not last as long as normal false nails just because of the weaker nature of the glue. I am still happy with them- they lasted long enough for me to hide my dodgy nails and dermatillomania at work, ready for me to give them a break at the weekend! Like with other false nails, there are a huge range of designs to choose from and the packaging (which is adorably shaped like a little nail varnish bottle) contains a variety of nail sizes, allowing you to get the right fit for your nail shape. Overall, these are great quick-fix nails that are perfect for anyone wanting a few days wear without incurring any damage to their nails. You can find these in most Asda stores so why not pick them up next time you go for a food shop?! Have you tried Kiss nails? 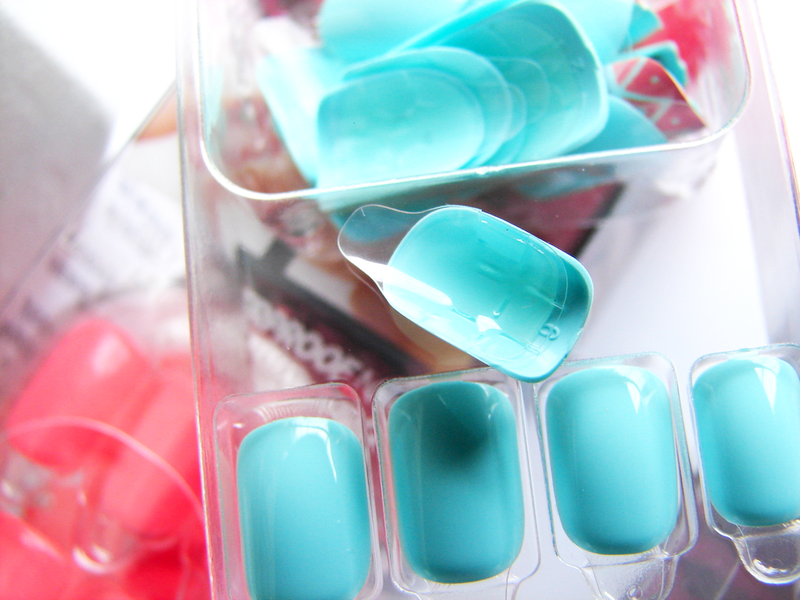 What brands do you love for nail products? BFRB Awareness Week: What Does It Actually Mean?